Chinese-controlled Yancoal plans to ramp up optimisation and exploration work at its Tier 1 assets in New South Wales to meet rising consumer demand for high-quality coal. Yancoal achieved record coal production during 2018 and has set ambitious growth targets to maximise this output even further. This includes a potential six million tonnes a year underground development at Mount Thorley Warkworth in the Hunter Valley, which completed pre-feasibility seam drilling at the end of last year. Yancoal has cited “long-term demand” for thermal and metallurgical coal driven by South East Asian population growth and urbanisation as key factors for a strong coal outlook it plans to capitalise on. Chief executive officer Reinhold Schmidt, in the company’s latest quarterly release, said maximising production from the company’s underground and open cut mines had allowed it to meet increasing demand for “higher quality” thermal coal. “We also benefitted from a full quarter’s impact of new fleet maintenance practices at Mount Thorley Warkworth, successfully reducing truck down-times and interruptions to extraction and haulage rates, while simultaneously delivering opeational cost savings,” Schmidt said. Demand for higher quality coal with low ash and low sulphur content is being driven by environmental policy in “established markets” such as Japan, South Korea, China and Taiwan. 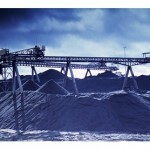 Moolarben accounted for 33 per cent of saleable coal production (16.5 million tonnes), achieving an operational record. Mount Thorley Warkworth delivered 24.2 per cent (12.1 million tonnes) of the company’s saleable coal production while Hunter Valley Operations represented 26.6 per cent (13.3 million tonnes). 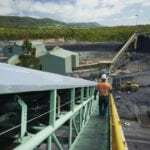 The Hunter Valley Operations and Mount Thorley Warkworth were acquired by Yancoal following the purchase of Rio Tinto’s Coal & Allied business in 2017. The two projects, alongside the Mooraben Coal Complex, represent Yancoal’s three Tier 1 assets. These three mines made up the bulk of Yancoal’s 2018 production. Yancoal became a dual-listed company last December on the Hong Kong Stock Exchange, adding to its Australian listing.